Facet joint pain in athletes is a possible consequence as active people get older. This is due to the fact that many athletes are known to suffer accelerated degeneration of the spine from years of bending, flexing and stressing the components of the vertebral column. However, we remind readers that facet degeneration is normal and is not inherently painful. In fact, most athletes will never develop pain, despite marked deterioration of the facet joint structures. Athletic people demand much of their bodies. The spine is usually one of the most tested of all anatomical structures during athletic endeavors and typically bears the brunt of stress. Obviously, some athletic pastimes are more traumatic than others, so the effects on the spine will range greatly also, depending on the activity participated in. This discussion explores why athletic people might develop facet joint symptoms. We will detail the causes of athletic facet syndrome, the symptoms produced and how the condition should be managed from a diversified healthcare perspective. Facet joint degeneration is considered a normal part of every human life. As we move and age, the spinal joints suffer deterioration that exposes them to the possibility for developing painful disorders and various forms of dysfunction. Athletes accelerate the spinal degenerative processes by asking more from their bodies than the average person. 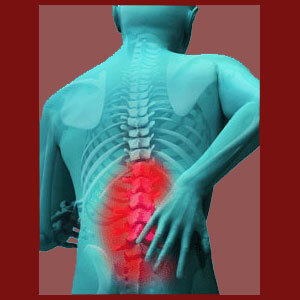 This additional movement and stress will hasten and escalate spinal degeneration in most people. Some athletic pastimes will be greater contributors to spinal deterioration, while others will contribute less. Some of the major contributors include martial arts, gymnastics, dance, yoga, various extreme sports and virtually all impact sports. The logic here is simple. More movement translates into faster wear on the spinal tissues, including the facet joints. This is the same as for any material, be it organic or synthetic. Use will produce wear. It is really that basic of a concept. It is normal for middle-aged athletes to demonstrate facet joint degeneration that would normally be seen in someone much older or may even surpass the extent seen in a typical nonathletic elderly person. Pathological changes to the zygapophyseal joints will produce symptoms consistent with facet joint syndrome. Pathology of the facet joints can occur from injury, severe degeneration or hypertrophy, but pain not a universal aspect of athletic degeneration by any means. Transitional changes in facet joint anatomy might be painful for a short timeline. There are many long duration degenerative processes occurring simultaneously in the spine and some might be mildly to moderately symptomatic for a time while the body acclimates to the alteration in form or functionality. Many athletes suffer from mindbody pain syndromes, often linked to the very pastimes they so enthusiastically pursue. We see many of these mindbody conditions misdiagnosed as structural issues, and sometimes blamed incorrectly on incidental facet joint degeneration. Athletes are likely to suffer some aches and pains as they age due to the considerable stress they have inflicted on their bodies. However, it is crystal clear that the many benefits of exercise outshine the degenerative consequences in almost every individual. Therefore, we highly recommend staying active for life and enjoying athletic endeavors as much, and as often, as possible. While facet joint degeneration is often more pronounced in athletes, there are no objective statistics that prove that pain is more common in athletic individuals than in sedentary individuals, despite the marked structural breakdown of the facet joints. In fact, most facet syndrome is diagnosed in obese and sedentary people, as is also the case with back pain, in general. When athletes do require care for facet joint pain, conservative measures usually serve them well, with symptomatic modalities offering enough relief to keep these people on course in their busy and productive lives, despite some minor discomfort. Some of the more popular symptom-based care techniques include chiropractic, physical therapy, massage, heat, ice, TENS and not surprisingly, more exercise. In cases of true facet pathology that is creating rare serious pain and functional disability, minimally invasive surgical techniques can usually bring about relief, while allowing the person to get back to their beloved physical activity sooner, rather than later.